We believe that every young person should have the chance to succeed. So, we help 13 to 30 year-olds who are unemployed or struggling at school to transform their lives. Many of the young people we help are in, or leaving, care, facing issues such as homelessness or mental health problems, or have been in trouble with the law. Our free programmes give young people the practical and financial support they need to stabilise their lives. We help them develop key skills while boosting their confidence and motivation. 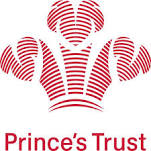 Our 2015–2018 strategy lays out the direction of The Prince’s Trust through and beyond our 40th anniversary year. Over the next three years we will address the complex issues faced by many young people today, providing a more holistic end-to-end offering, with better support onto, between and beyond our core programmes. As a charity, our work wouldn’t be possible without the amazing support of our partners and supporters.